The Westwood home at 10511 Rochester Ave., LA CA 90024 finally closed this month after a long listing history. Because the home was a short sale and subject to lender approval, the days on market and exact listing period information is cloudy. Essentially, the home started it's journey back on 7/20/07 with an asking price of $2,195,000. After only a few days on the market, the home received an accepted offer. Sadly for the owner, after a few weeks the home fell out of escrow. Several listing periods and price reductions throughout '07, '08 & '09, it finally hit short sale status somewhere during the listing in 2009. It took nearly 2 years to finally get this home closed. Most likely failed negotiations, back on and off markets, buyers becoming impatient and backing out because of the lender not responding, etc.. contributed to the long drawn out approval and closure process. 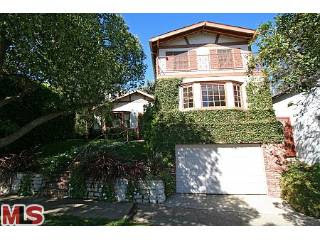 10511 Rochester Ave closed on 4/18/11 with a final sales price of $1,315,000 |$311.54 ppsqft|. According to the MLS, the home is a 4 bedroom / 4 bath, 4,211 sq ft of living space on a 6,500 sq ft lot.